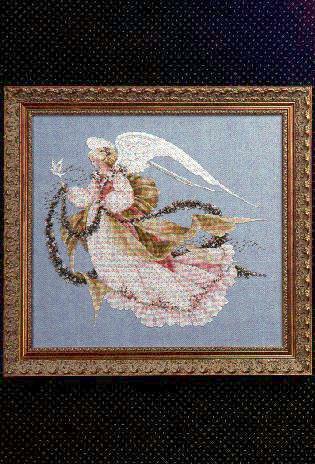 Done in pinks and golds, the Angel of Summer carries boughs of beaded flowers. She is led by the dove of peace. 14 1/2" x 16 1/2"